Kelly is a young lady with Down syndrome and this company was created to assist Kelly in leading a fulfilled and productive life after school came to an end for her. She loves fashion, style and bling, so what better way to express that than to create fashionable jewelry! 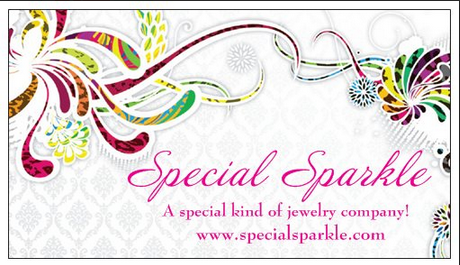 Special Sparkle is a mother/daughter team where mom designs and Kelly makes all the jewelry!